The Credila Financial Services Limited, the education-loan arm of HDFC, will soon be selling life insurance products of leading private insurer HDFC Standard Life Insurance Company Limited. The company will act as a distributor and broker. With a view to generate additional revenue streams, Credila Financial Services will also offer foreign exchange services. 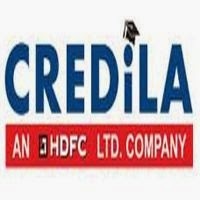 According to the sources, Credila Financial Services has recently received the necessary licence from bank regulator the Reserve Bank of India (RBI), to act as a full-fledged money changer for international currencies. The company also plans to tie up with more players in the insurance sector and also extend it to general and health insurance. Since students are its base customers, the company aims at to tap the market. Through this, the company can catch them early by selling insurance products. The education loan market in India is estimated to be about Rs 43,000 crore. There are an estimated 1.4 crore students in India's higher education sector, and about two lacs students opt for studying abroad.